What will the authorities do about it? A few years back, to talk about Playa del Carmen was synonymous of beach, sand, sun and fun; but today, the destination is more related to crime than anything else, sad but true. On Thursday, August 16, the governor of Quintana Roo, Carlos Joaquín González, led the inauguration of the Operational Base of the Public Security Secretariat in Playa del Carmen. At the opening ceremony, it was reported that crime prevention tasks through coordination with municipal, federal authorities and armed forces with surveillance and operative actions are a priority in the state. Playa del Carmen mayor, Cristina Torres Gómez, said that there are important advances in security issues. However, while this ceremony was taking place, an 11 year old girl was being murdered, presumably also raped and tortured by an unidentified subject who left the little girl’s body abandoned inside her home located in Colonia Luis Donaldo Colosio, Manzana 306 Lote 15, right there in Playa del Carmen. 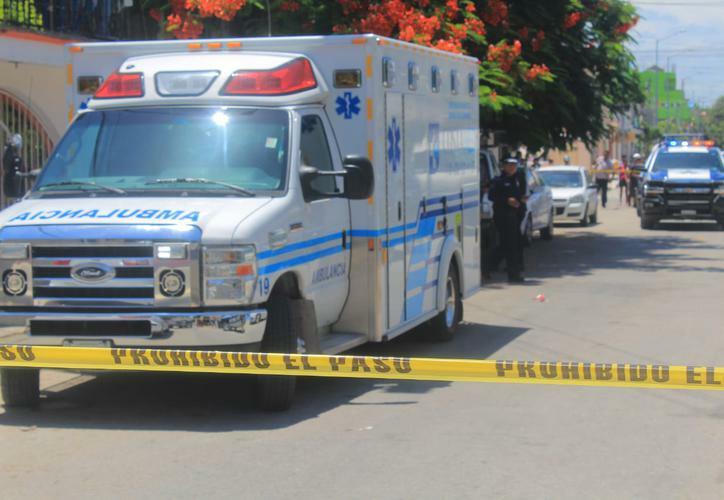 Personnel of the Specialized Prosecutor’s Office for Crimes Against Women and for Gender Reasons, along with experts and agents of the ministerial police, arrived onsite to corroborate the violent attack against the female child. Investigative agents and experts interrogated the victim’s relatives and initiated the corresponding investigation. According to official police reports, the facts took place around 12:54 PM on Thursday, August 16. It was reported that the body showed injuries and it is presumed that she was beaten to death. CostaMed paramedics verified that the 11 year old girl did not have vital signs. At the time of the attack, three adults were inside the house, apparently the girl’s cousins. Authorities suspect they could be involved. It was also said that the young girl always stayed at home to take care of her three little brothers while her parents went to work. Guadalupe Reyes Pinzón, head of the Specialized Prosecutor’s Office for Crimes Against Women and for Gender Reasons, declared that the investigation file # 5305/2018 is now open. No arrests have been made so far in relation with this atrocious crime. Mr. Governor Carlos Joaquín González: During your political campaign you promised to control the insecurity levels, something that you have not fullfiled. It is evident that the violence that prevails in the state of Quintana Roo has surpassed the capabilities of the three levels of government, executive, legislative and judicial. The situation is getting worse by the minute. We want to ask you Mr. Governor, if the perpetrator of this henious act against a child is caught, what will happen? Will this person walk away free as so often happens in the state you govern? We want to remind you about the inalienable rights of children and that, the well being of Mexican youth, is everyone´s responsability if we want to have a future in this country.